Your feet are made up of 26 bones, 33 joints, and over 100 muscles, tendons, and ligaments, giving them an extraordinary combination of strength and flexibility. They are the basis of your endurance, your mobility, your comfort, and sometimes your safety. In the field, your feet need to carry you through long days, a variety of terrain, and all kinds of weather conditions, making your footwear an essential component of your overall gear. Good quality shoes will support your hardworking feet, while subpar ones can lead to anything from minor aches and pains to long-term injuries. A growing number of shoe designers are realizing the need for better tactical footwear. Brands associated with rock climbing, hiking, and running are taking the toughest aspects of their shoes and using them to make tactical footwear products, which means more options for law enforcement, military, and first responders. Here are five reasons why your shoe choice matters – a lot – in the field. Whether you're pounding the pavement or trekking in the desert, your feet need support. Arch support is one consideration – how low or high your natural arch is will determine whether you need more or less support in your shoes. Keep in mind that you can add arch support with insoles, so don't give up on a favorite pair of shoes just because they lack support. For uneven terrain, ankle support is also a must. A good tactical boot will hold your ankle comfortably, preventing injuries without restricting your movement. While your shoes need to be secure on your feet, you also need to think about how quickly you can get them on. When every second counts, fumbling with laces isn't an option. Consider shoes that don't need laces, or try a product like TacLace that speeds up the process of putting on boots. And think about swapping out standard laces for extra-tough ones that won't break easily. Modern tactical shoes manage to combine lightweight comfort with serious protection. Before you buy new shoes, consider the level of protection you need from your tactical footwear as well as what conditions you are likely to face. Steel-toe boots are serious protection, but are also heavier than the newer composite-toe boots which offer protection with a lighter weight material. If you're in a desert environment where there's a real threat of snakes, a higher boot with tough material to keep your legs safe might be a better option. While protection and support are fundamental concerns, weight is also an important consideration. Wearing shoes that are too heavy means risking unnecessary fatigue, but lightweight shoes might not offer the support or protection you need. The minimalist shoe movement popular with runners and hikers is gaining traction in tactical shoes as well – the argument for minimalist shoes is that less padding and support encourages the development of muscles in the foot and ankle. Before jumping on that trend, however, tactical users need to consider whether a minimalist shoe is right for their unique physiology and field conditions. For example, a minimalist shoe might be the right fit for a slim law enforcement officer in summer, but not for a heavier first responder in cold weather. Some shoes do blend higher levels of protection with a minimalist feel in the sole. If you're serving in an arid region, you may be facing mostly the same weather day after day and would benefit from a shoe that can stand up to harsh desert conditions while supporting your feet on sandy treks. Alternately, if you're going to be in consistently wet conditions, a shoe with drainage might actually perform better than a waterproof shoe. Completely waterproof footwear often leads to sweaty feet, which can cause the same issues as wet feet – a shoe or boot that drains and dries quickly might be a better choice. In addition, maritime operators may need to wear their shoes with Dive Fins in order to stand on coral or submerged rocks and may want to consider shoes made specifically for this need. A law enforcement officer in an urban environment, on the other hand, may need lighter shoes for the hot summer pavement, waterproof shoes with traction for rainy streets, and insulated boots for a cold winter. 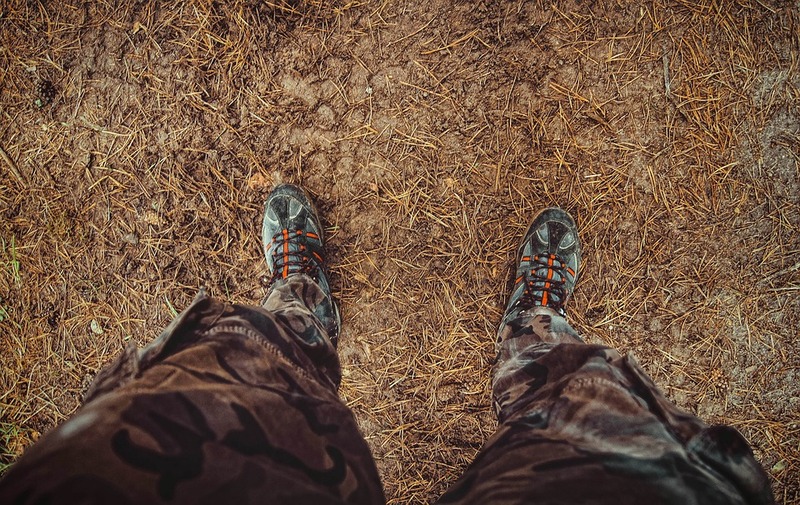 The good news is that modern tactical shoe materials are better able to handle tough weather conditions, keeping your feet warmer, drier, and safer. Quality footwear companies are constantly innovating, using new materials and designs to create shoes to fit any need in the field. So, wherever you serve, consider your shoe choice a critical investment. We at Vel Tye are passionate about what we do. We may not sell shoes, but we can help point you to the resources you need to find the right footwear for your job. If you have questions or need additional tactical gear and accessories, today.